The situation is very similar to that of McKinsey. 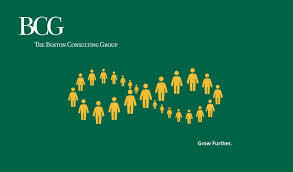 All opportunities are open to future ex-BCG consultants. The alumni network is very powerful, dynamic, and covers virtually all industries and functions in most developed countries. In addition, the support process at the exit of the consultants is extremely well formalized, offering active support of the firm, which does not leave its employees while they are resettled elsewhere. And when I say “resettled” it really is according to the wishes of consultants, not the bread and butter job obviously. BCG also boasts an impressive network in the political world. One example is Binyamin Netanyahu, the Israeli Prime Minister. Another is Mitt Romney, the former Republican presidential candidate in the U.S. In the video below, M. Romney also explains what is, according to him, the key to success in his career. According to the firm, the candidate must have curiosity, talent, and leadership skills. It goes without saying that framework offered by BCG allows the consultant to benefit from a very favorable environment for a rich intellectual life, social activities with colleagues, and a voluntary international business activity. The culture of BCG is built first around creativity. During the recruitment process, it appears that the consulting cases proposed at BCG are classified among the most original and most intense in the sector. This is not just marketing, BCG desires that its own consultants don’t just repeat the existing approaches, but that they reinvent the analysis framework that is specifically suitable for their client at the moment. Then, at BCG, the culture of risks is very strong. Here also, a glance at BCG Alumni shows how the culture of the firm models its alumni network. For example, no large consulting firm was created from McKinsey. By contrast, Bain and Roland Berger were founded by former BCG consultants. Their founders did not want to be limited to the roles of senior partner in an existing firm. They wanted to take the risk to start from scratch with their own goals and their own modes of operation in consulting firms they decided to build from the ground up. We can say that this was rather successful for them! The culture of risk also translates in original functioning modes to handle relationships with clients. For example, by the promise to bring tailor-made, to adopt a collaborative approach of working with clients, which is a little bit opposite to the operating model of McKinsey. Regarding the pace of travel, it can be said that due to the local approach of BCG and the nature of its projects – less organizational and operational than McKinsey – the level of typical travel within BCG is lower than its direct competitor.